Geocaching is the real-world treasure hunt that’s happening right now, all around the world. 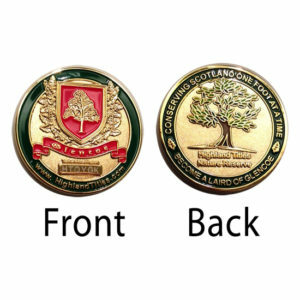 With a Highland Titles trackable geo-coin you can log the movements of your very own ‘treasure’ as it travels the world being moved from place to place by fellow geocachers. Geocaches are located all around the world and are even breaking records: the lowest Geocache in the world was recorded at 2300 meters below sea level! Geocaching is an adventure that everyone in the family can do together and enjoy.